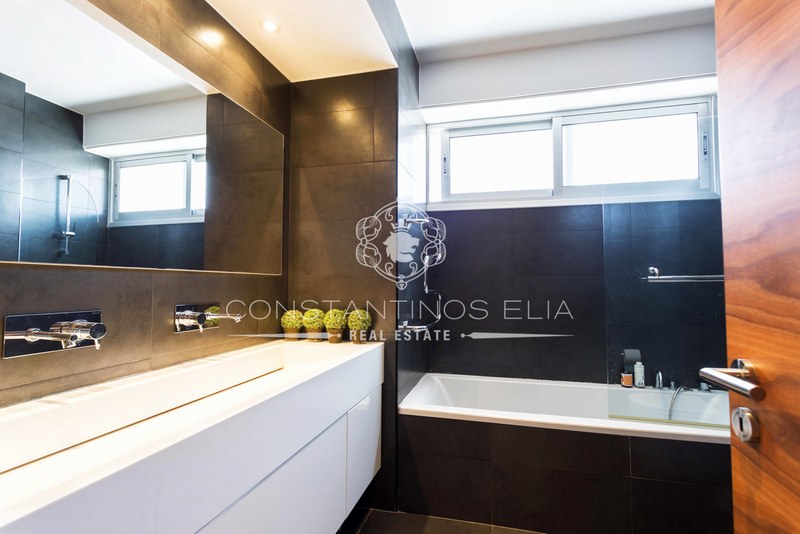 The property has a luxurious environment, containing spacious living room, 4 bedrooms (3 bedroom for a family use and one siparate room for the made with own toulet and kitchen). 3 bathrooms and big covered and uncovered verandas. Has all the necessary kitchen appliances and VRV a/c system. 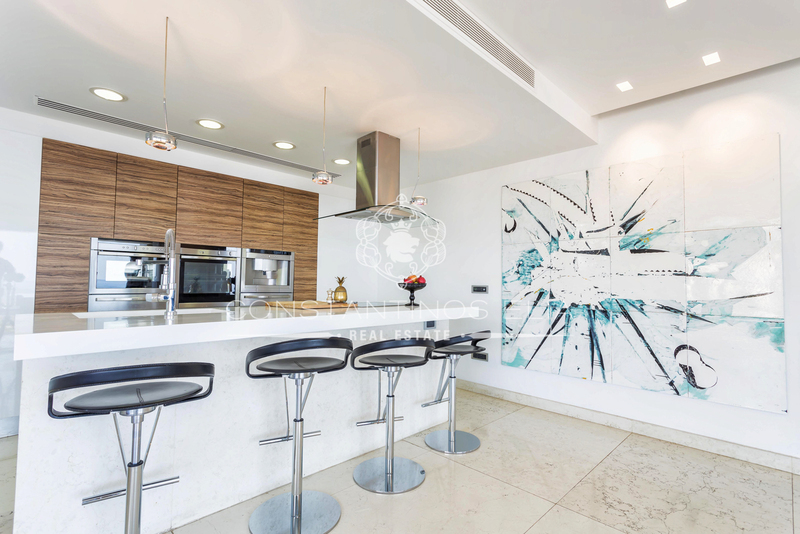 The design team innovated the kitchen by creating the “extendable island bar”. This item can be used as a regular island bar. When extended, it has the potential to be used as a breakfast bar. The separation of the kitchen space makes the kitchen more practical, functional and ergonomic. 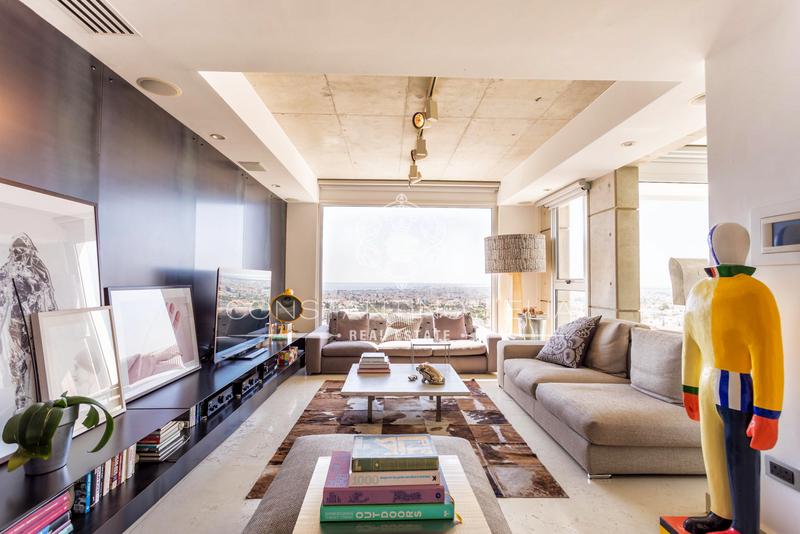 The living room is also decorated with shelves and spaces for art, as well as a contemporary fire place. The living room has been designed to sit 8 to 10 people. 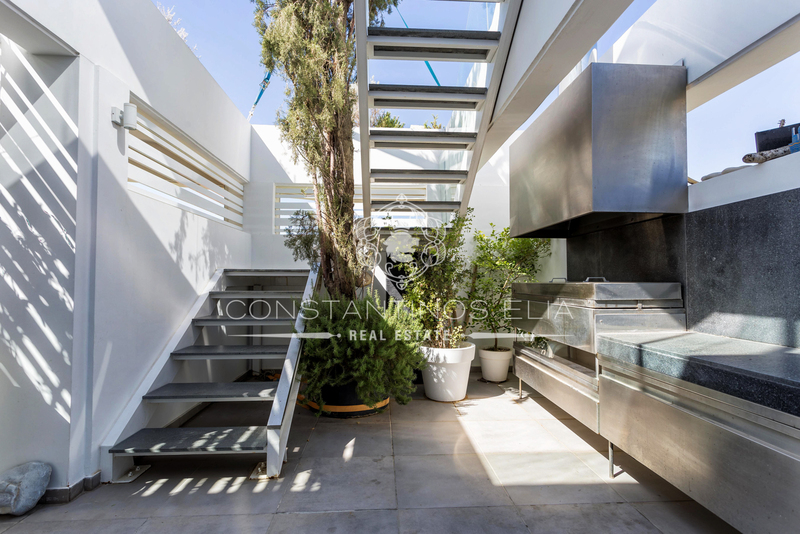 The area also enjoys impressive views towards the south-western coast line of Limassol. Additionally, Venetian blinds have been installed, should the occupants wish to create the right atmosphere to enjoy a movie. The living spaces are surrounded by a spacious covered veranda which runs the whole length of the apartment. 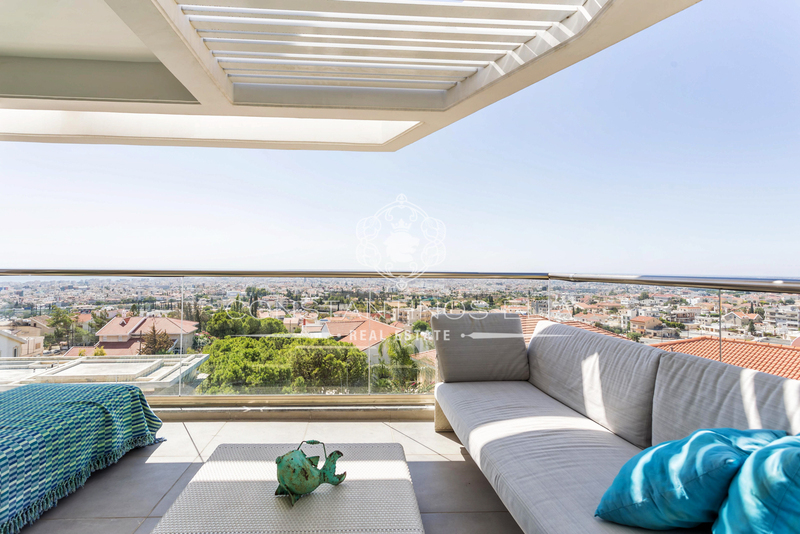 This veranda offers uninterrupted breath-taking views of the city and Limassol an coastline from East to West. It forms the ideal space to create an outdoor dining room. The separation of the living spaces and veranda is by means of glass doors allowing the living spaces to extent towards the veranda. 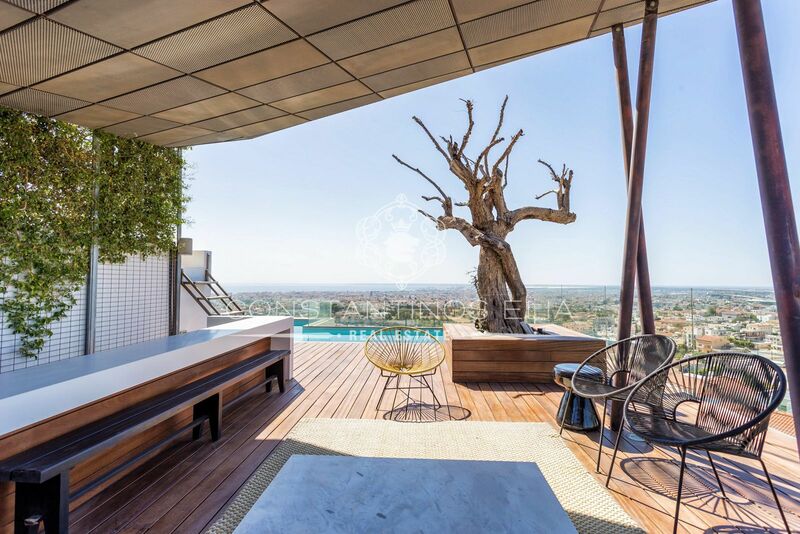 The Penthouse offers an additional exclusive feature: a private roof-garden with swimming pool, which has counter current system and automatic safety cover. This is the ideal setting for magical summer evenings, where the residents can enjoy the privilege of total relaxation. Roof-garden is provided with sound central system monitored from the apartment. 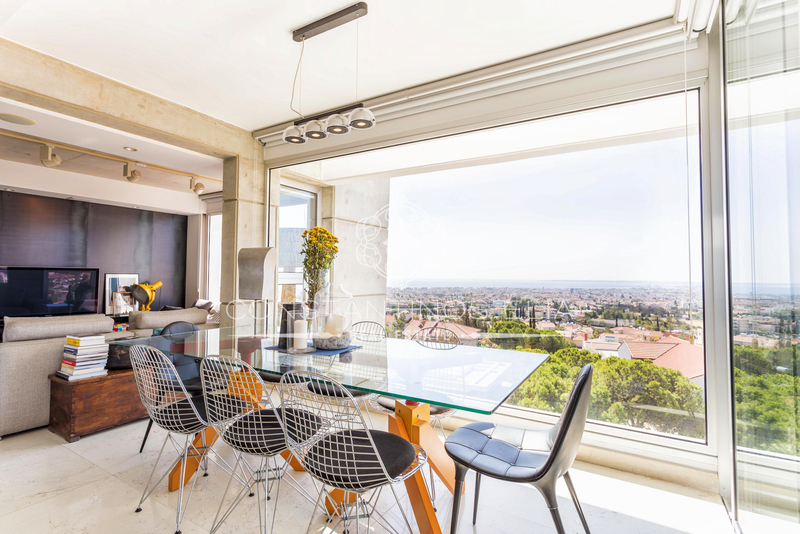 The Penthouse includes the following technical specifications: Central lighting control system (smart home)in all areas, VRV system in all areas, sound system in all areas (including verandas), electric under floor heating in all areas, marble floor in all areas, swimming pool.